This is just a short post to let you know I'll be taking a break from the blog for the next few weeks. As you may know, my younger son has special needs and is currently going through a very difficult time. I'm just about keeping my head above water at the moment and there isn't a great deal of sewing being done. I thought it would be easier to take a complete break from sewing and blogging and hopefully come back to it with renewed sparkle once things are more settled at home. 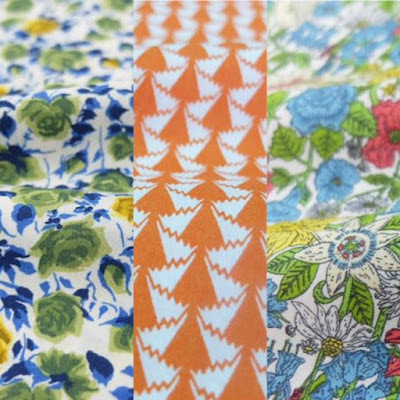 I spent an entire afternoon overdosing on Liberty prints and could quite easily have been at it for days on end if I didn't had children to look after. I did however, manage to find quite a few cheaper alternatives, so if you love Liberty prints but don't love their usual hefty price tags, read on! I've included a mixture of bricks and mortar shops and online stores, but obviously it's nowhere near a comprehensive list. I should also point out that I've used some, but not all of these suppliers, so can't vouch for them all personally. Hopefully one of them may lead you to a bargain though! This friendly online store offers a mix of classic and contemporary prints at reduced prices, often in unusual colourways. The majority of fabrics are Tana lawn and Lifestyle cottons, with some jersey and cord prints also stocked. 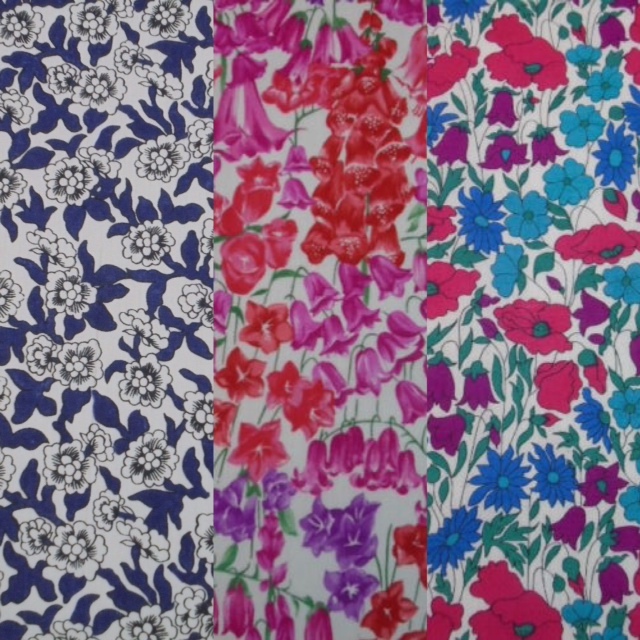 THE place to go for discounted Liberty fabrics if you're in London. They stock absolutely everything, with a far broader range than the Liberty store itself, including all the classic floral prints and lots of seasonal collections. If you're desperate to track down a discontinued or limited edition print, give them a try, they probably have it in stock. 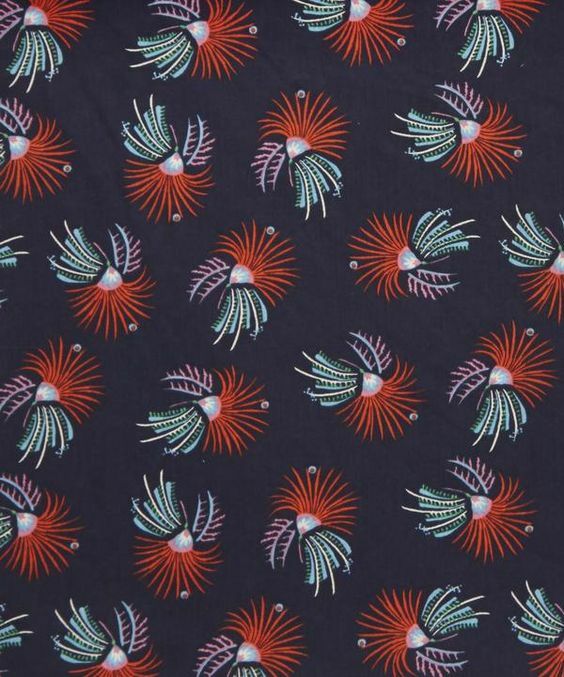 The firework print fabric I got for Christmas was found at Shaukat after it had sold out at Liberty. Visit the shop in South Kensington or buy online here. Classic Textiles stocks some lovely Tana lawns and silks. Last time I was there I think Tana lawn was about £17 a metre and silk amazingly was about £12 a metre. I used Liberty silk from this shop to line my boiled wool coat. 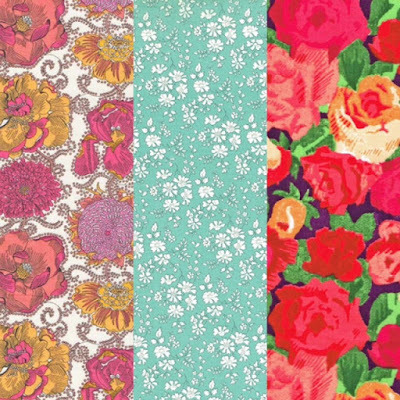 Misan West on Goldhawk Road is a relatively new fabric shop and also stocks Liberty fabrics. Definitely worth paying a visit if you're in the area. Fabrics Galore has been around for 25 years and offers a good selection of classic and seasonal Tana lawns at very good prices (around £15.00 a metre). 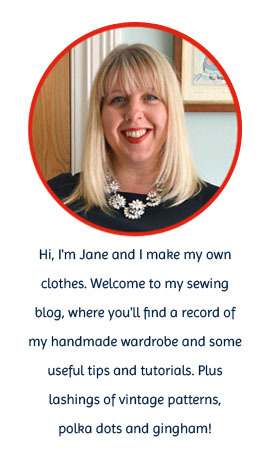 They have a shop in Battersea, you can buy online here or they regularly exhibit at sewing shows throughout the year. As well as stocking classic Tana lawns at full price, Abakhan also has a separate clearance sections where you can snap up past collections of Tana lawn for £12.95 a metre and Lifestyle cottons for £9.95 a metre). 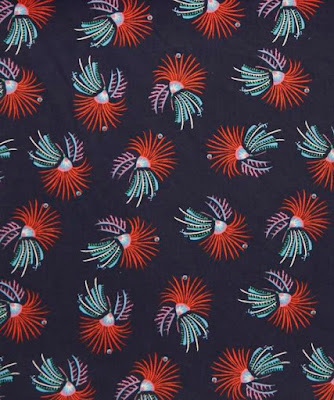 Clothkits are more commonly known for their ready made clothing kits, but did you know they also have a small but perfectly formed Liberty section on their website?! 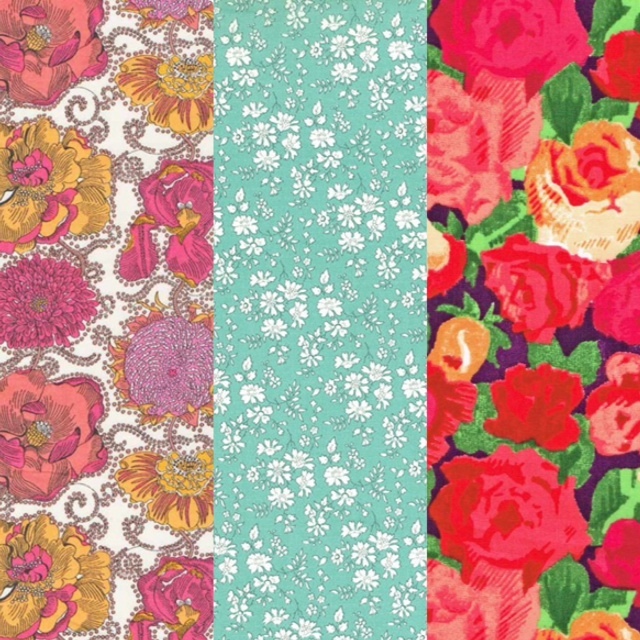 Check out their Tana lawn clearance section where you can find an interesting selection for £16.00 a metre. 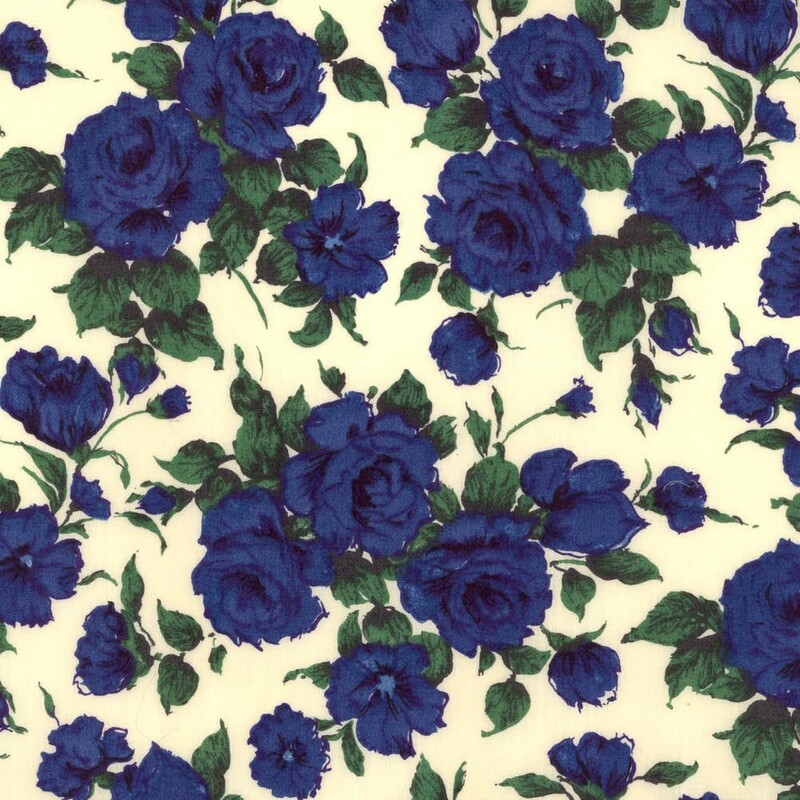 They also sell Liberty bias binding and fabric covered buttons! 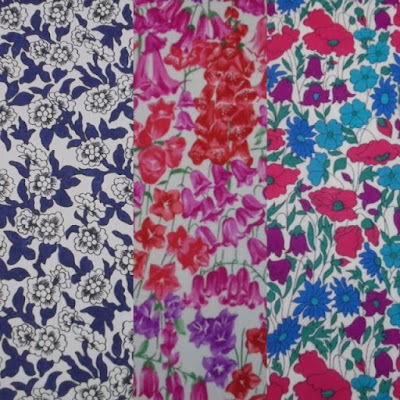 I found this eBay seller via What Kate Sews a couple of years ago when she listed her favourite eBay fabric shops. In Katie's words, "A good source for Liberty Tana Lawns in largeish pre-cut lots. At roughly £30 for a 3 metre cut it's a good deal." I''d agree with that! You can also get good deals on smaller pieces - I snapped up a metre of hard-to-find Carline print for £15 last year. Thank you all for such generous and encouraging comments on my red coat - it was wonderful to read such positive feedback! 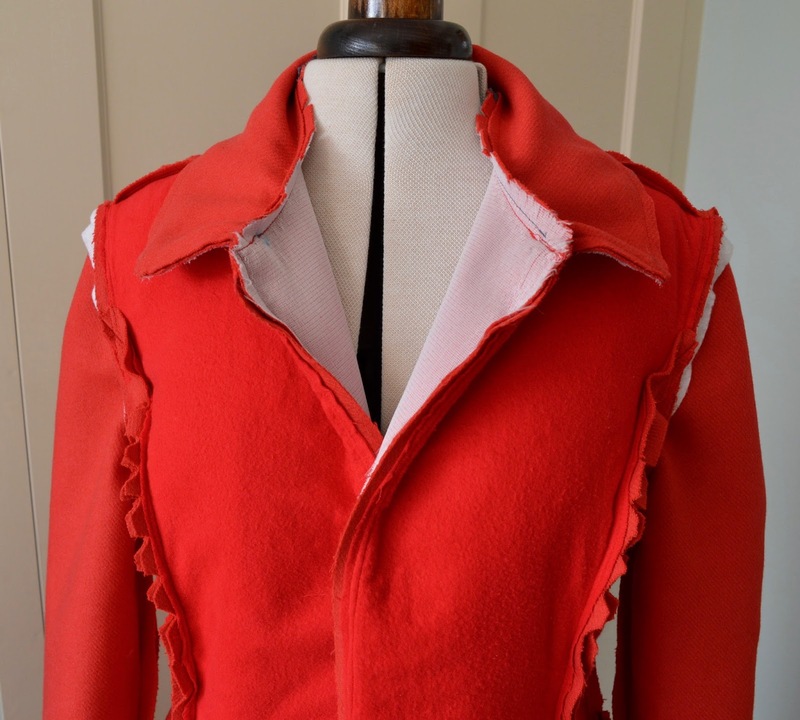 As promised, this next post will focus on the tutorials, supplies and resources that I found so helpful whilst making the coat. If you're thinking of trying the pattern (McCalls 7058) then I'd highly recommend you read Manju's excellent review. I picked up some really useful tips from her blog post, including the idea of adding a flannel underlining for extra warmth. To attach the underlining, I followed Manju's method of machining the flannel to the pattern pieces with a half inch seam allowance, then trimming back as far as I could down to the stitching line. I also removed the flannel from the hem allowance before hemming to reduce bulk. 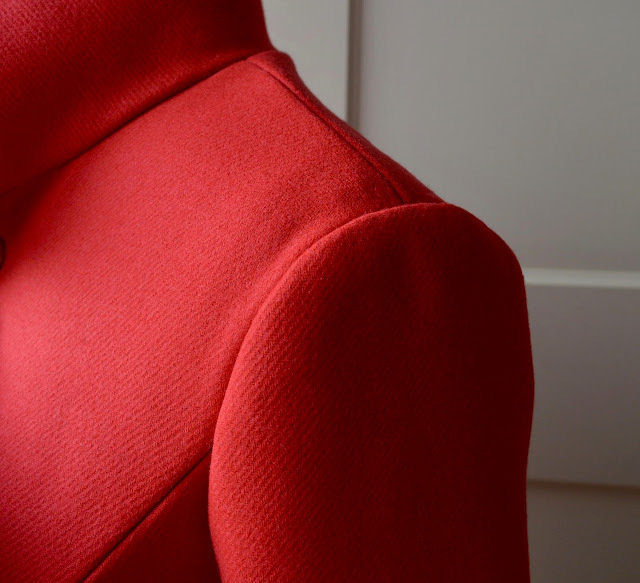 For interfacing I used Washable Supersoft interfacing from English Couture, which is a perfect weight for the wool. I also purchased my sleeve heads from English Couture and inserted them using this method by Poppy Kettle. If you want to make your own sleeve heads, the tutorial also shows you how. I'd never used sleeve heads before and the result is subtle, but definitely worth it. The dimpled, slightly collapsed look of the sleeves is now supported well and takes on a more rounded, tailored look. Underlined, interfaced and with sleeve heads added. The basic technique on the Grainline blog is very straight forward and that's essentially what I did to bag the lining. 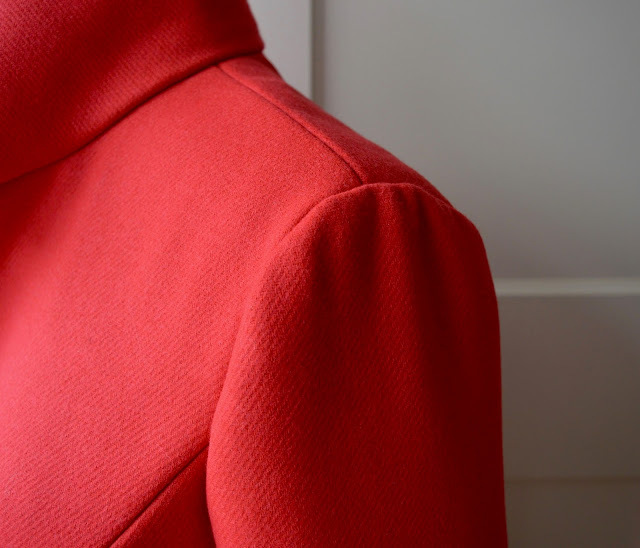 The Clare Coat sew along post also has some excellent additional tips which I used to ensure as professional a finish as I could. 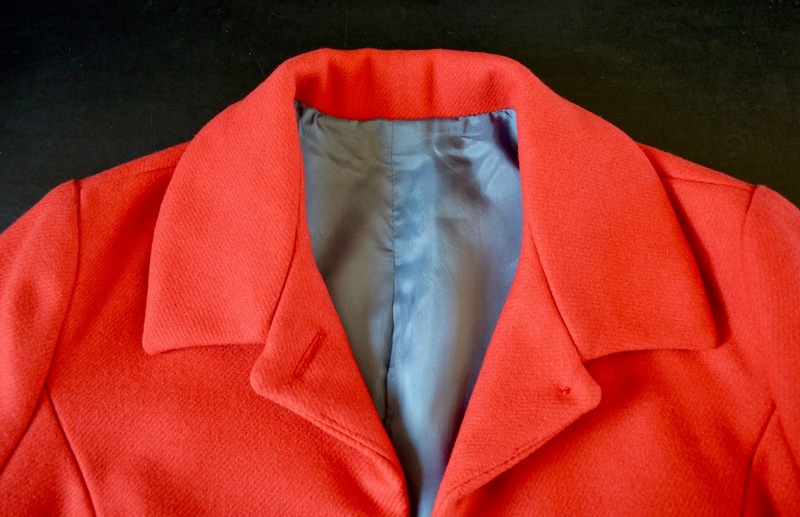 For example, the traditional method of turning the coat the right way round is to pull it through a gap in one of the sleeve seams. 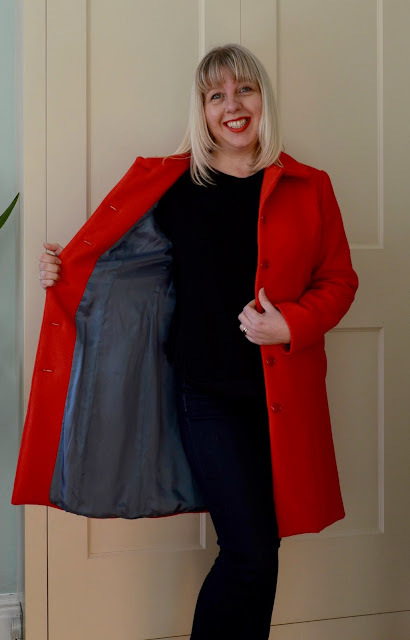 A woollen coat, completely underlined in flannel, with interfacing and lining is thick and unwieldy and the thought of trying to turn the entire thing out through such a tiny gap filled me with horror. Heather's tip was to leave a generous gap in the lining hem instead, then catch stitch it closed at the end. This made far more sense to me and the whole process was a lot easier as a result. 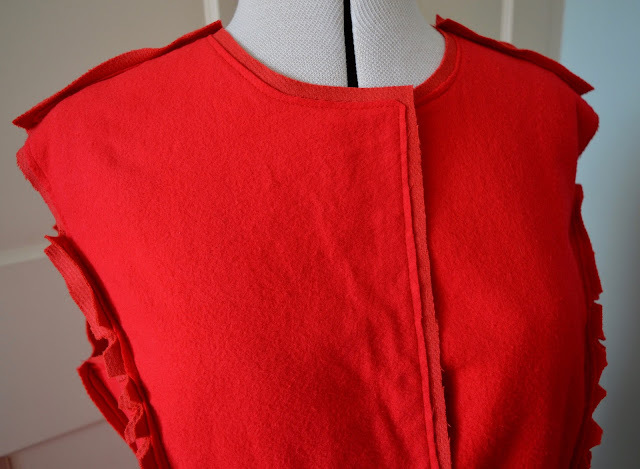 To help anchor the lining to the coat, I added a threadchain to the underarm seam to link them together. 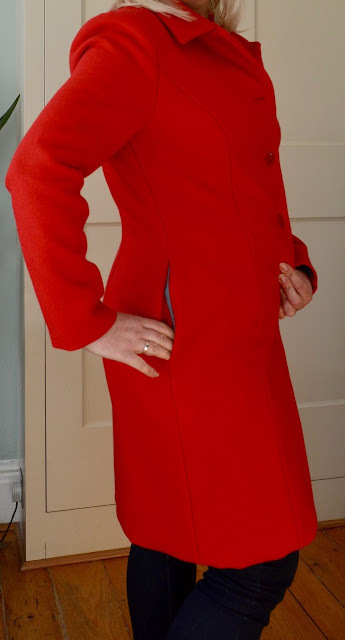 I used the Susan Khalje tutorial for the threadchain as recommended in the Clare Coat tutorial and it worked a treat. I'd originally planned to use giant snaps as closures, but had a last minute disaster change of heart and had to use buttons instead. I actually spent two hours sewing all the snaps into position before deciding they didn't look right (sigh). It was annoying, but I'd invested so much time and effort into making this coat I figured an extra week's delay wasn't going to make much difference. The problem was that my interfaced and underlined coat edges wouldn't even fit underneath my buttonhole foot, so there was no way I could even contemplate sewing buttonholes unless I made them by hand. Er no, I decided to pay a visit to D M Buttons in Soho to have some professionally made instead. I'd read about the company on a few sewing blogs, but never actually used them myself. The whole process couldn't have been easier: I left my coat with owner David and went to get my hair cut, when I returned an hour or so later, my coat had six perfect buttonholes! They looked so much more professional than anything I could have produced on my own machine. I didn't need to do much prep either, just marked the buttonhole positions on the right side of the fabric beforehand and brought along one of my buttons for reference. And the best bit? The price - just £4.00 for six! I'm never making my own buttonholes again! One final thing I should mention is my new Tailor's Clapper, which I found invaluable during the pressing process. My wool was quite hefty and really not interested in lying flat along the seam lines. After a lengthy session at the ironing board, using the clapper and a LOT of steam, those seams were as flat as pancakes. If you're unsure about using a clapper, watch this short video from Did You Make That. Before your very eyes you'll see a springy, unruly piece of crepe being magically flattened into submission by a steam iron and a lump of wood! I know some of you were interested to see how much this coat actually cost me to make. 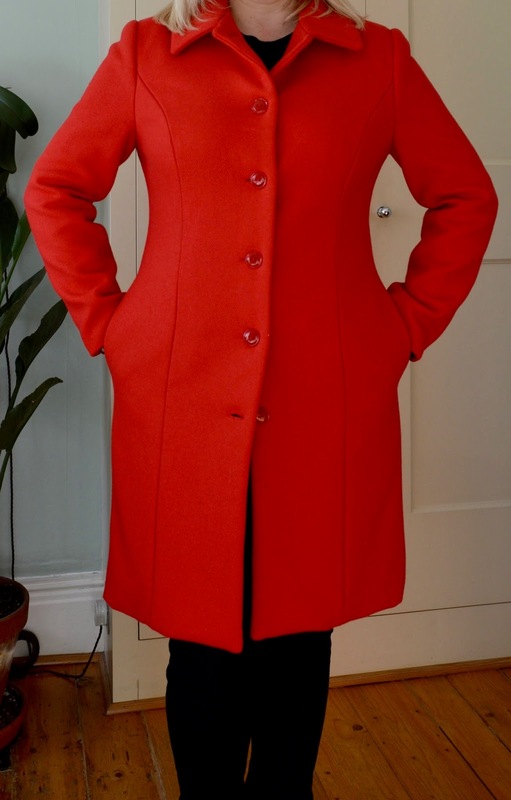 It wasn't cheap by any stretch of the imagination, but infinitely cheaper than a comparable RTW coat made with designer Italian wool! Thread, vintage buttons and sleeve heads were all from my stash, so I'm not including them in the cost.